Talking to your loved one on the phone always make you feel better, just hearing each other’s voice is comforting, We grown use to voice and vocal communications, and it’s great, but it’s not a replacement to other signs of affection, more intimate such as a warm hug or touch. You can’t really transfer that feeling over the internet can you? 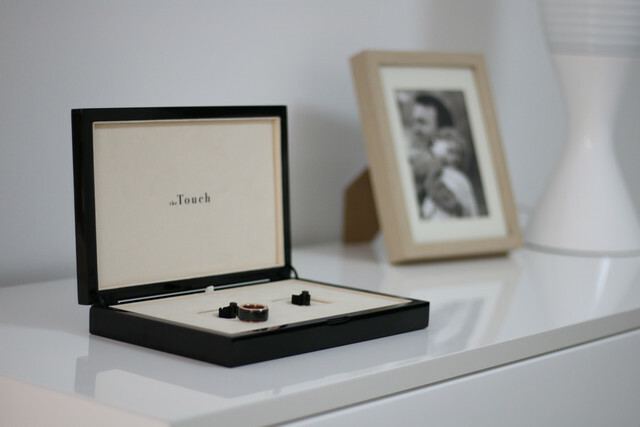 Now there’s a bold wearable company called Touch that attempts to fill this void with the HB Ring. 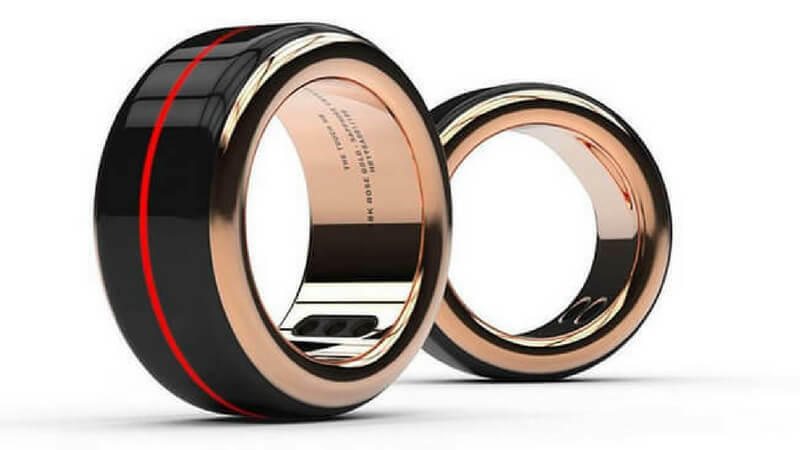 A ” smart wedding band ” that can transmit the rhythm of your partner’s heartbeat in real time. 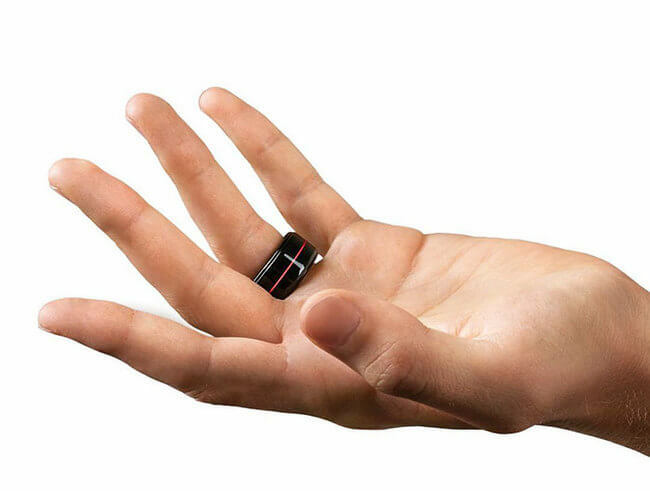 The company says that the HB Ring is a result of more than two years of development and it’s ” the most sophisticated ring in the world “. 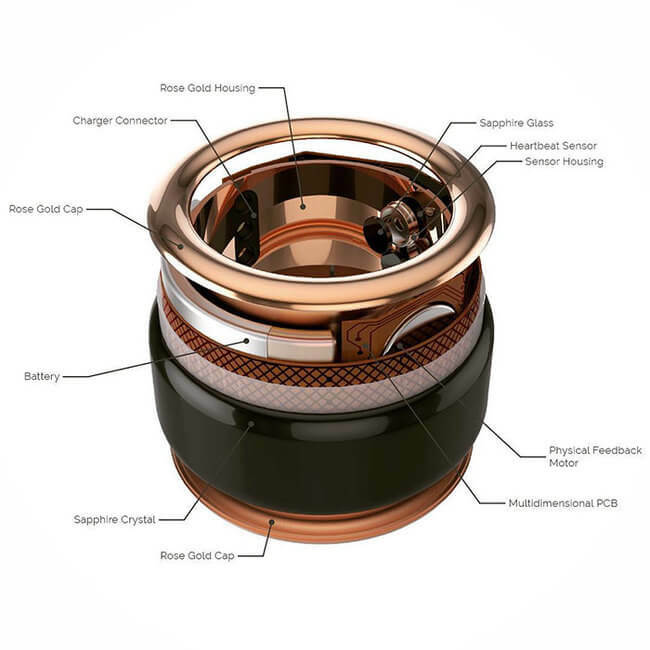 That little ring packs more than 100 components and it’s round frame is made from a band of stainless steel, the outside of the HB Ring is a block of sapphire crystal ” harder than gold ” Touch says it is the largest exposed scratch and water resistant sapphire surface on any ring, any where. So how does it work? 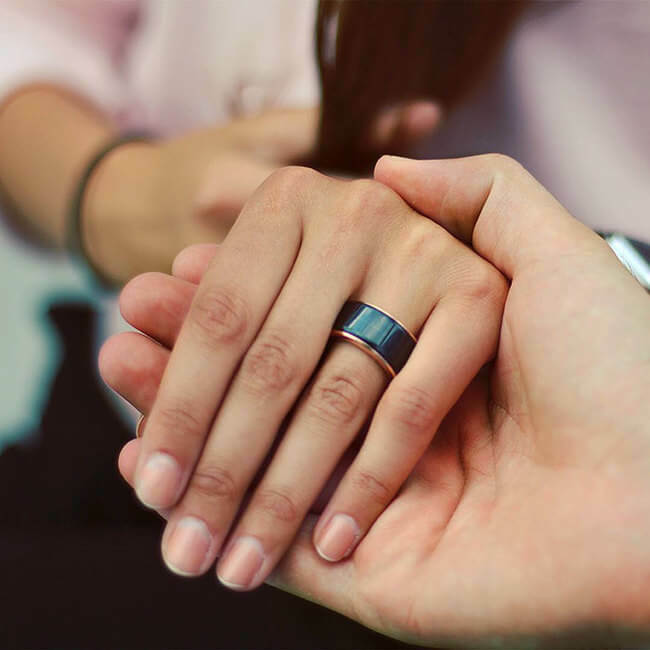 Well after you sync your ring with the compatible app you can simply tap on the ring surface twice to send your heartbeat to your loved one, that’s pretty much it, but what more do you need. 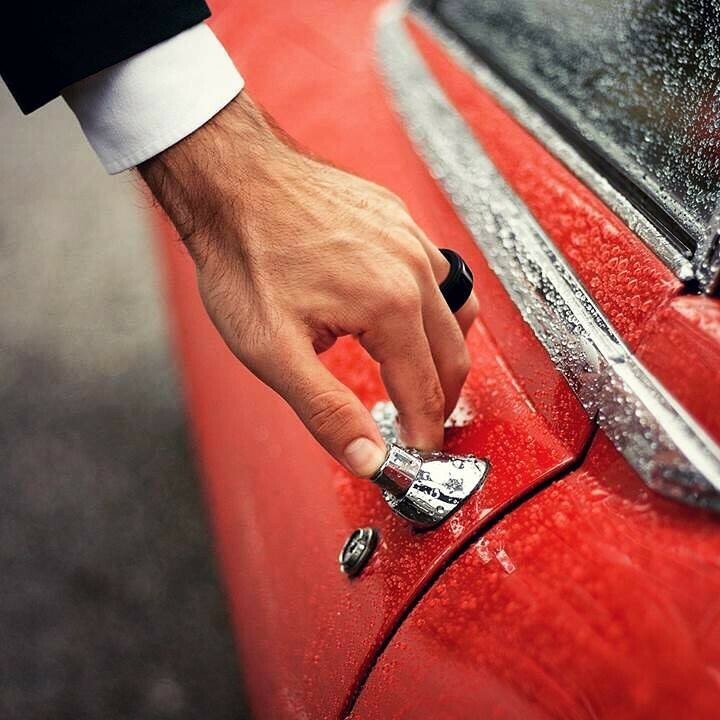 The HB Ring looks luxurious, and it comes with a price too. $600 for a pair ( it only sells in pairs ) of the black sapphire crystals or you can get the 18K rose gold which starts at $3,000. 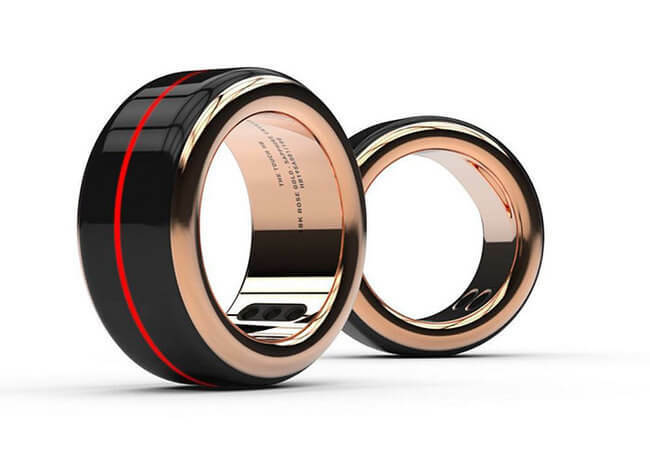 The Ring comes in these sizes only: 16mm, 17mm, 18mm, 19mm, 20mm and 21mm.